SSI PCR Tubes are available in 0.2 mL and 0.5 mL flat and domed cap tubes. SSI PCR Tubes features include UltraFlux and Ultra thin tube wall. SSI PCR Tubes are ideal for use with all different thermal cycler types and models and most different types of PCR work. SSI PCR Tubes are certified DNase, RNase, DNA, endotoxin, pyrogen and PCR inhibitor free, giving you the confidence you require when it comes to making sure your PCR reactions remain contaminant free and give you the most reliable results. 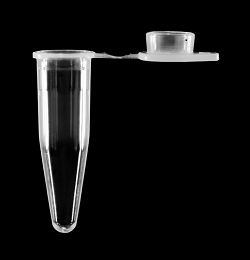 Individual SSI PCR Tubes feature evaporation-resistant, easy to open and close lids that prevent sample loss and increase the efficiency and accuracy of your experiments and results. Ultra-thin, uniform well walls ensure optimal heat transfer and reaction efficiency which again improved reaction reliability when using these PCR Tubes. Dome, frosted flat, or optically-clear caps for qPCR (real time) give you the flexibility to pick the cap or lid type that best suits your needs. These PCR tubes are conveniently packaged in reclosable bags to minimize the risk of contamination of your tubes. These tubes are available in ultra-clear, assorted, or specific colors, allowing you to assign specific colors to specific tasks or samples to simply keep track of your experiments. 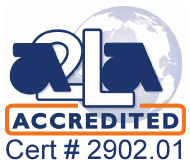 The UltraFlux has been continually innovated and improved upon over the past two decades to provide scientists with reliable results at phenomenal value.